Dining is a multisensory process that engages us beyond the level of physical nourishment, to ignite our senses of selfhood, relationship, ancestry, and culture. By making visible those layers of meaning that reside in a food event, the forms I create stretch those sense organs to a new understanding of significance. 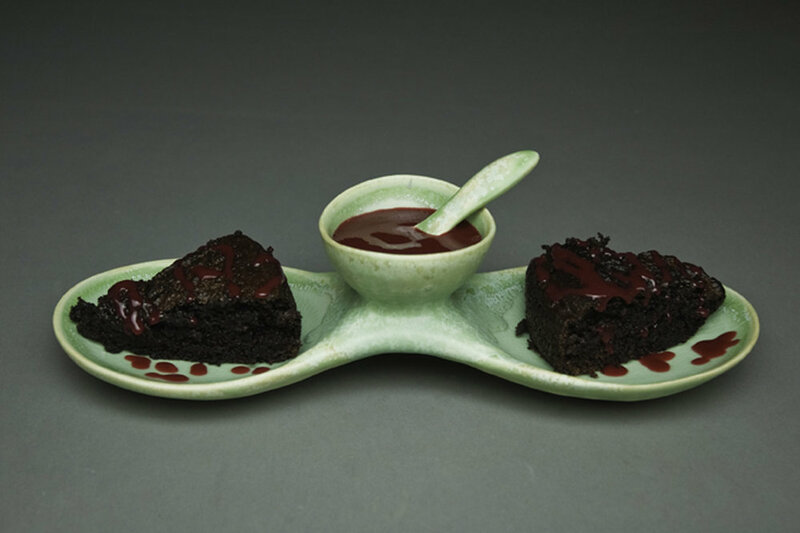 The pieces in this group of images highlight the shared physical and emotional experience of food events. A service designed for a shared dining ritual can shift the perceptual horizons through which we comprehend food as nourishment, and nourishment as relationship. 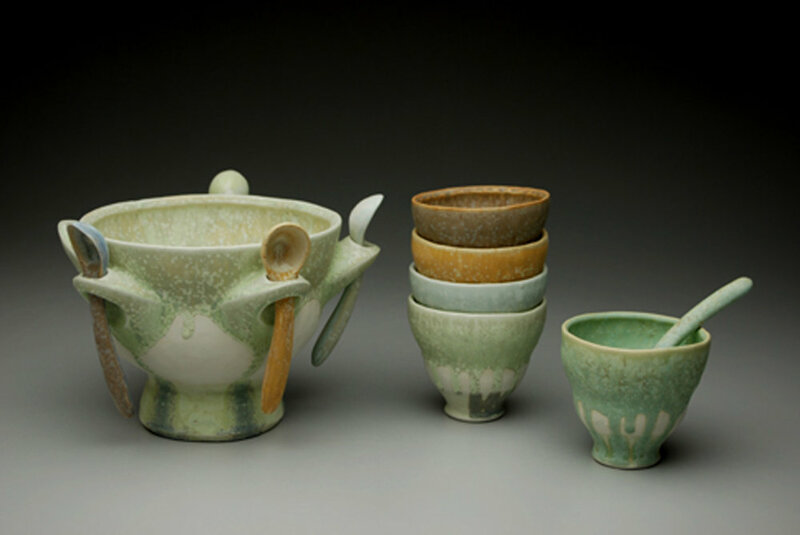 These pieces began with wondering about what it is that two people share when they eat or drink together. 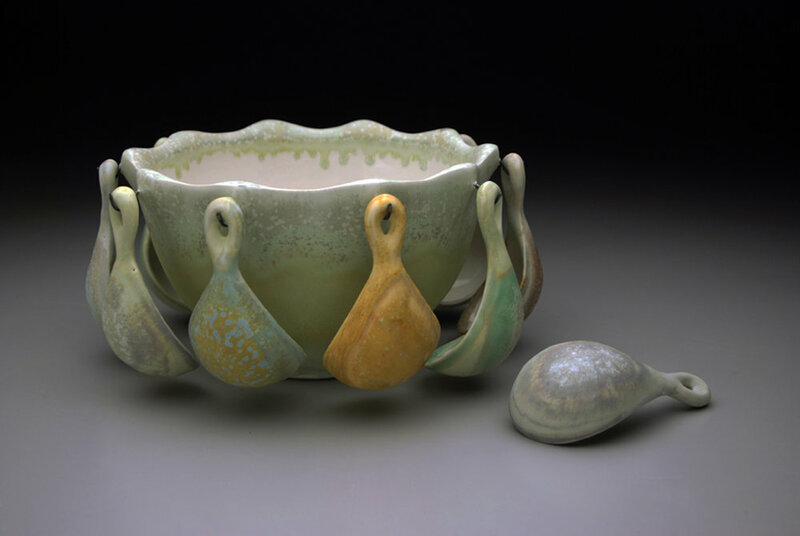 These are some of the eat for two serving vessels that I developed, with variations on how unified the two portions are. 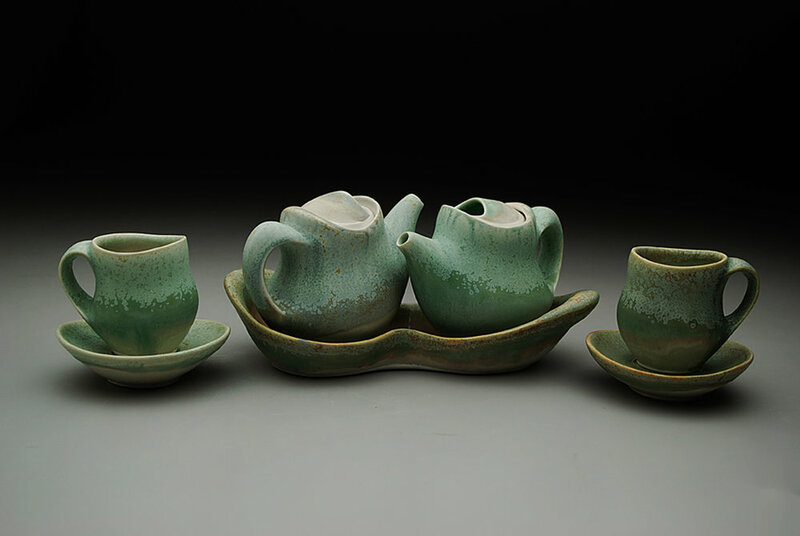 Similarly, in the tea for two sets, I played with the idea of the shared saucer. Questions about shared experiences led to the crossing boundaries events, which you can read about here. When two people sit for tea together, a moment of shared attention can occur. In response to feelings of political and social opposition, I expanded on my tea for two service to include table linens and a structure for more intentional dialogue and listening. In regard, shown below, the table setting clears space for two people frozen in opposition to discover a sense of commonality through the gift of active attention. 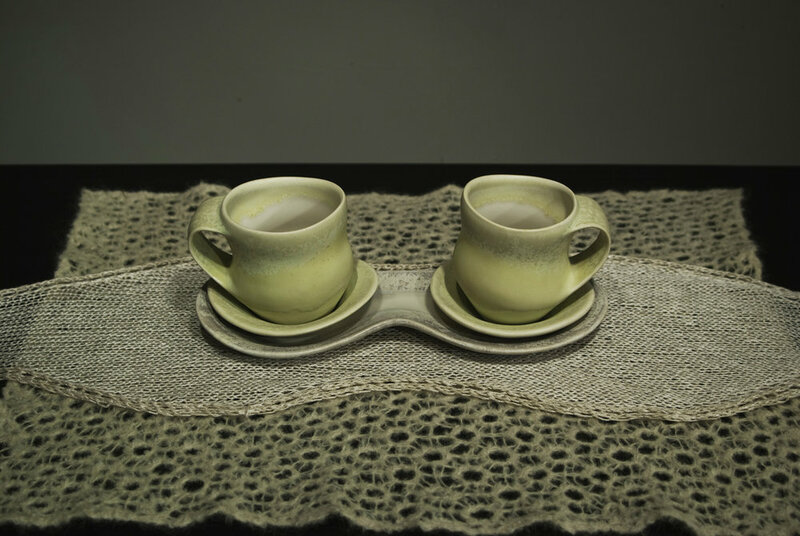 The knit table runner connects the two at their hearts, serving as softening breastplates. Dialogue is structured to promote mirroring and compassion for the other’s thoughts. This experience is designed to open the space for reconciliation and beginning anew with someone. It is also fun to set up experiences for groups of people to eat from the same vessel. True family dining.